Best Of The Week: 16 February 2013. Fans Care About PED Use – Sometimes – Brian Goff, The Sports Economist. After this whole hot mess with the AFL and NRL went down, I thought about the NFL and how I’m next to certain that they use PEDs. Yet… no one cares? This article talks about which sports are most damaged by PED use and possible reasons why. Will Twenty20 Ruin Test Cricket? – Eamon Evans, Bigpond Sport. As an American, test cricket baffles me (or at least, it did, Shannon and a few wonderful friends of mine have gotten me to like it… a little). But the Twenty20 is much more fun – I have to admit. But when I found out about one day cricket, I had no idea why three types were needed. If anyone has an answer to that question, please let me know, but until then, read this debate. It’s good. 15 Worst Contracts In Baseball – Jonah Keri, Grantland. I believe I’ve made it clear that I love the business side of sports more than the playing side (although that part is so much fun). And by know the mistakes the US is making with contracts, ensures that I won’t make those mistakes when I become and AFL CEO (which will be in the year 2030 – you wait and see). Spoiler alert: It was never going to be anyone but A-Rod as number one. That’s the worst contract in the world. How Michael Jordan Still Earns $80 Million A Year – Kurt Bandenhausen, Forbes SportsMoney. Michael Jordan. Even typing his name gives me goosebumps. While some of the reasons are obvious (the Jordan Division of Nike, his ongoing commercials with Hanes) some are quite interesting. You have to read the article to find out what they are. And one for good luck… Great Pre-Season Traditions – Michael Rogers & Adam Jones, Bigpond Sport. It’s actually kinda sad… but funny. Now I must go. NAB Cup time. See you on Twitter. Best Of Super Bowl XLVII. Here’s the thing about the Super Bowl: I had to watch it at 10 am on a Monday morning. UGHHHHH AUSTRALIA. I was thanking God that I’m at school and not working otherwise I would have called in sick (warning to future employers: I will work on my birthday, but Super Bowl Monday is one of the best days of the year so we’re going to have to talk about that). And considering Monday morning is the most productive time of the week for me ad determines how the rest of the week is going to go… I think it’s safe to say that the rest of the week is going to be a bit… lax. It was nearly impossible to put together this list. Do you have any idea how many articles have been written about the Super Bowl in the last week? Like… a million (that’s a serious estimation, not me being ridiculous). But these are the ones I really liked and remembered. Oh, and the reason there are 3 commercial articles here is because they don’t show the commercials in Australia – it’s just not the same experience. How Michael Jackson Saved The Superbowl – Mike Ozanian, Forbes SportsMoney. A short and sweet piece about the halftime show and how the NFL turned it around to be great. Seven Best Superbowl Commercials of 2013 – Josh Pacheco, The New Sports Guru. The title says it all – go check it out! Super Bowl Commercials 2013: Worst Ads of the Night – Max Meyer, Bleacher Report. I can’t be biased. You need to see the worst, don’t you? 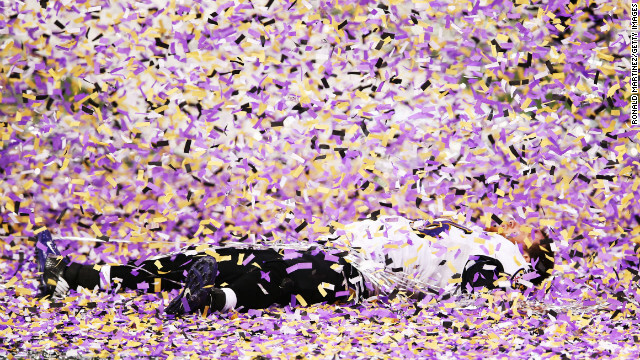 Why I’m Never Watching The NFL Again After Super Bowl XLVII – Matt Saccaro, Thought Catalog. A sad, and yet surprisingly accurate, commentary on the commercialization of football. 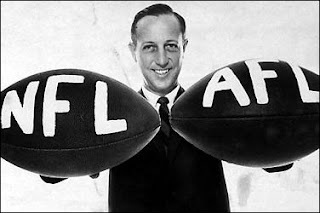 Kinda makes you yearn for the goo old days and wonder if the AFL is headed in this direction. The NFL Dropped the Ball With Super Social Media – Lou Imbriano. Honestly, I hadn’t noticed the lack of social media by the NFL surrounding the Super Bowl, probably because I’m in Australia and things just don’t get here… but this is spot on. The NFL should have done better. And of course… Funniest Superbowl Power Outage Tweet – James Hibberd, Inside TV. I wait on bated breath to see who is getting fired over this. It HAS to be someone, don’t you think? Were there some that you really liked and I left out?